Kohl’s was established in 1962 as a retail department store and has become the 2nd biggest department store behind only Macy’s. The company has over 1,160 stores in 49 of the 50 states in the U.S. and has over 40,000 employees. 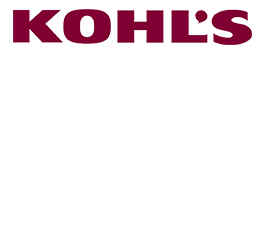 Kohl’s is ranked in the Fortune 500 list at 146th. The store offers a wide variety of products including footwear, clothing, bedding, furniture, jewelry, beauty accessories, electronics, housewares, and more. Data contents of the Product Activity Data Transaction Set (852) for use within the context of an Electronic Data Interchange (EDI) environment. The transaction set can be used by a distributor, warehouse, or retailer to advise a trading partner of inventory, sales, and other product activity information. Product activity data enables a trading partner to plan and ship, or propose inventory replenishment quantities, for distribution centers, warehouses or retail outlets. The receiver of the transaction set will maintain some type of inventory/prod-uct movement records for its trading partners to enable replenishment calcu-lations based on data provided by the distributor, warehouse or retailer. Data contents of the Purchase Order Change Request - Buyer Initiated Transaction Set (860) for use within the context of an Electronic Data Interchange (EDI) environment. The transaction set can be used to provide the information required for the customary and established business and industry practice rel-ative to a purchase order change. This transaction can be used: (1) by a buyer to request a change to a previously submitted purchase order or (2) by a buyer to confirm acceptance of a purchase order change initiated by the seller or by mutual agreement of the two parties. Data contents of the Purchase Order Change Acknowledgment/Request - Seller Initiated Transaction Set (865) for use within the context of an Electronic Data Interchange (EDI) environment. The transaction set can be used to convey acceptance or rejection of changes to a previously submitted purchase order by the seller or to notify the buyer of changes initiated by the seller to a previ-ously submitted purchase order by the seller.